Police say that while officers were investigating the shooting, they noticed a guy tossing something into a plastic trash barrel in a neighboring yard. Read more. 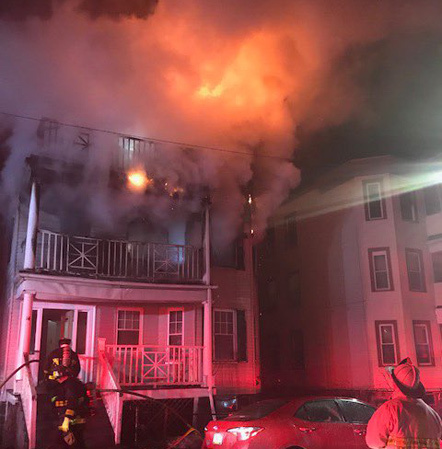 Boston firefighters responded around 11 p.m. to 14 Evelyn St. for what turned into a two-alarm fire that displaced 14 residents and sent one firefighter to the hospital with a shoulder injury. Read more. The Boston Fire Department reports firefighters responded to 41 Evelyn St. around 7:45 p.m. for what turned into a five-alarm fire. Read more. A man got out of a van, then started shooting at it around 11:30 p.m. on Evelyn Street, off Blue Hill Avenue. The van sped away.